I knew I was facing a long, tough week despite the Monday holiday. It seemed to take forever to get to Friday. Besides a busy workday schedule, I had an exhausting Board of Directors dinner on Thursday night that got me home fairly late. It didn't help that I needed to get in the office extra early on Friday morning. My Friday evening was spent at a fun event called Rise of the Jack O'Lanterns but I was reaching zombie state by the time I turned in. I managed to sleep later than my usual 6:00 AM rise time and hoped that all those hours of rest would restore my energy level. However, even after eight hours sleep I was feeling run down. Any thoughts of getting out for an early run were offset by fatigue and slight dizziness. I had two cups of strong coffee and it wasn't until I checked in with the Runsketeers to get a read on how to dress for my run that I geared up and headed outside. By then it was almost 10:30. Conditions were fall-perfect, the temperature was in the low 50's and the sun was shining. I wore a long sleeve running shirt with compression shorts under regular running shorts. I also wore a pair of light knit running gloves that kept my hands comfortable. 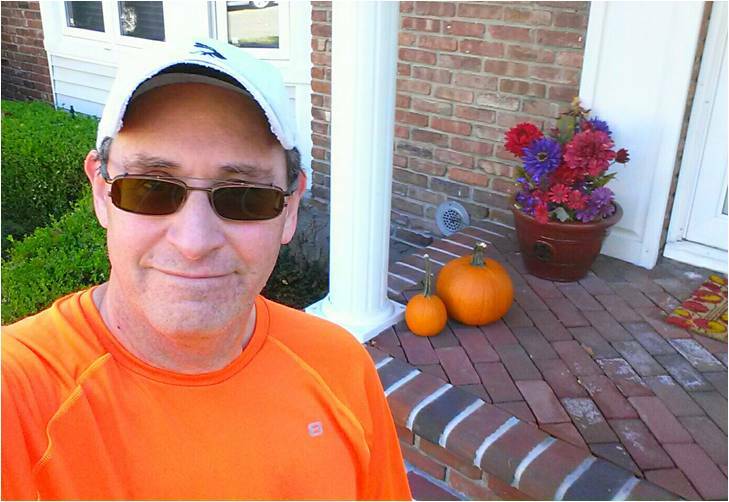 I followed one of my usual routes around the neighborhood and motored along at a comfortable pace. The lack of hard effort and the cool dry air kept me sweat-free throughout half the run. The air had the smell of maple and burning leaves and the pumpkins and Halloween decorations were out in force. I haven't checked my Garmin data, but I know today's performance was unremarkable. Some of that was due to feeling less than 100%. I also know that I'm never going to get back to my old performance level if I continue to run only three to four times a week, mostly at distances between 3-4 miles. Just a few years ago, I was typically running 6 days a week and logging between 18-22 miles. That put me in a position where I could run a 5 or 10K at a moment's notice and confidently hit my targeted pace times. Until I can figure out a way to fit in some additional weekday runs, I'll need to be satisfied with the pleasant, easy runs I'm doing these days.